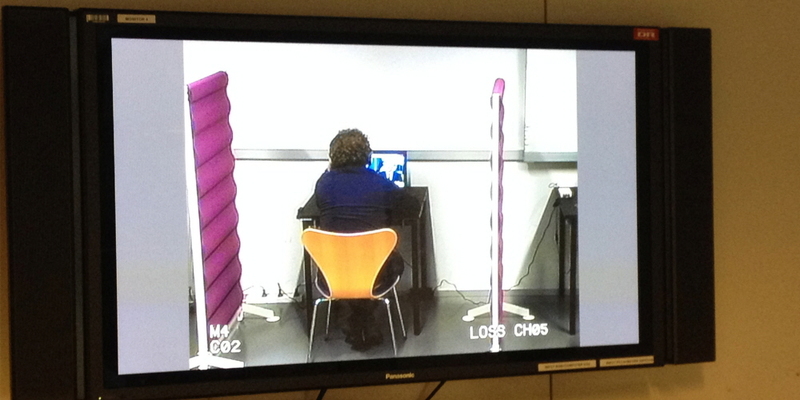 The Danish Broadcasting Corporation (DR) used eye tracking technology from Tobii Pro, together with biometric sensors, in order to establish a better methodology for conducting viewer evaluations of TV formats. DR (from the earlier name, Danmarks Radio) is Denmark's national broadcasting corporation. Founded in 1925 as a public-service organization, it is the country's oldest and largest electronic media enterprise. The DR Audience Research Department conducts pre- and post-testing of various media formats. In an effort to establish a better methodology for conducting viewer evaluations of TV formats, the department created a study integrating various biometric solutions. In the past, only self-reporting was used in the testing, but, in this particular study, a better understanding of viewers' behavior was attained by combining these self-reports with various physiological measurements. The team combined eye tracking technology from Tobii Pro and skin conductance sensors from Becker Meditec with data recording via the Biometric Software Suite (BSS). The research was accomplished using the Tobii Pro X2-60 screen-based eye tracker to collect the eye tracking data and Tobii Pro Studio software for data analysis and presentation. By pairing BSS with Pro Studio, DR researchers were able to easily synchronize the eye tracking and GSR data. The Audience Research Department managed to deliver more valid and reliable viewer evaluations of TV formats by combining the eye tracking and GSR data. After successfully designing a study consisting of both self-reporting and physiological measurements, the researchers were able deliver content of a higher quality to the DR TV audience. The next step for their team is to apply various physiological measurements in the study of web pages, trailers, and radio formats.